Saturday July 18th another glass recycling day was held in East Peoria. 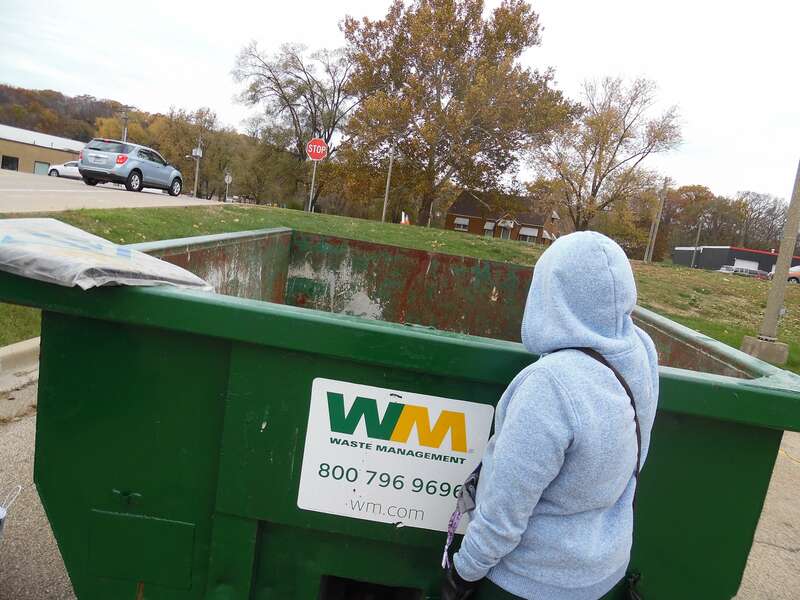 The East Peoria Green Team, in conjunction with the City of East Peoria and Waste Management provided an opportunity for citizens to recycle used glass containers. 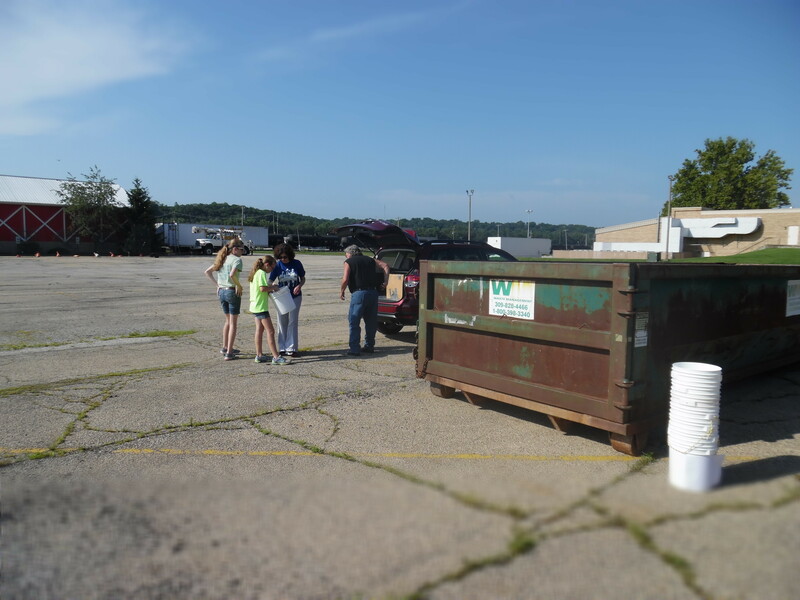 We had a very good turnout with 73 different families stopping to drop off their used glass to be recycled. But, since the population of East Peoria consists of 7200 households that is just one percent of the families that could have brought in glass to be recycled. 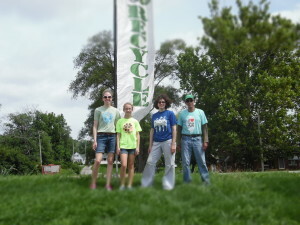 So we hope to get even more families to come by for the next recycling effort. 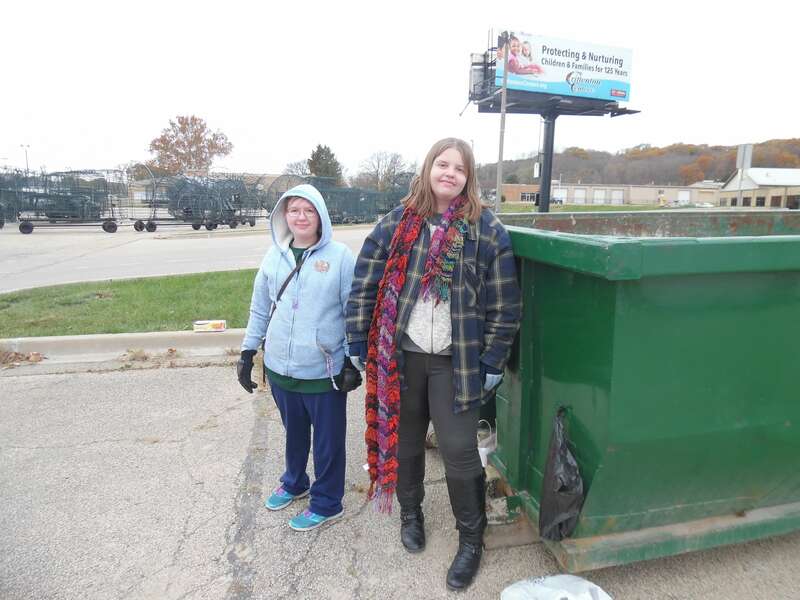 East Peoria Green members, Linda Tiller, Sue Elder, Lori Wolf, and Bob Jorgensen, were assisted by East Peoria High School Students Clarice Wolf and Elaena Wolf. 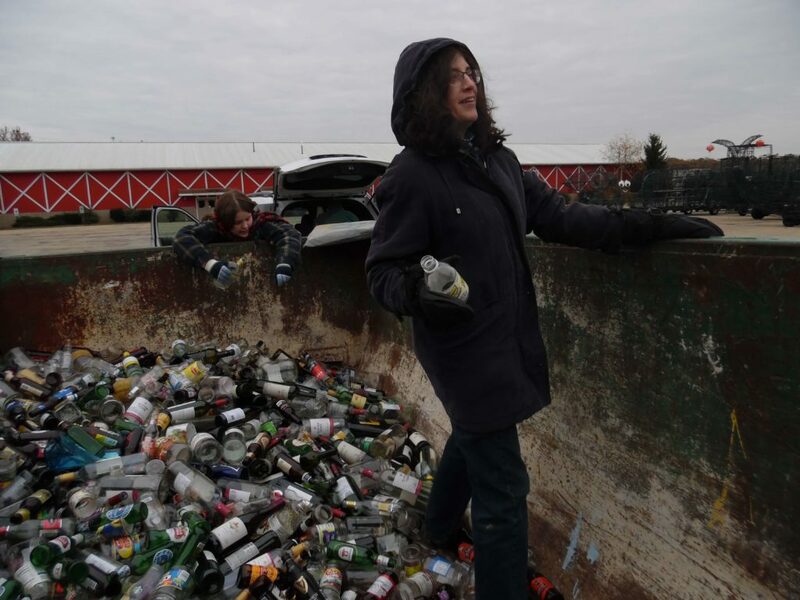 There was a constant stream of cars coming into the FOLEPI Building lot to drop off their glass jars and bottles. 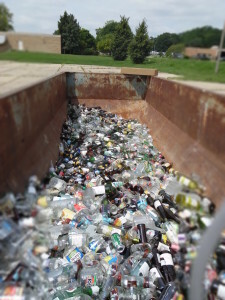 We all helped unload and dump the glass into the roll off supplied by Waste Management. Club business cards with our website information, www.eastpeoriagreen.com was given to each attendee. 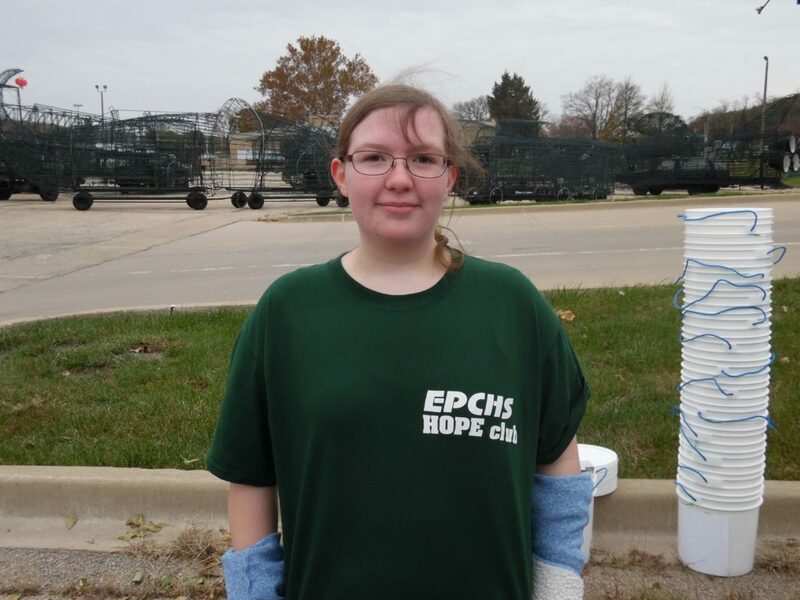 A donation of $1 per car load was asked for to help pay the cost of the event. 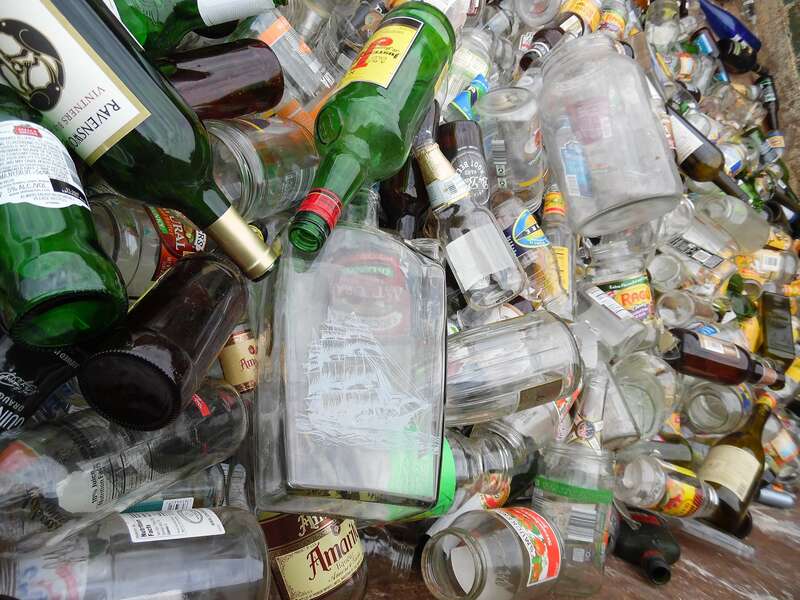 Future glass recycling events were discussed with many attendees, as well as other environmental information. 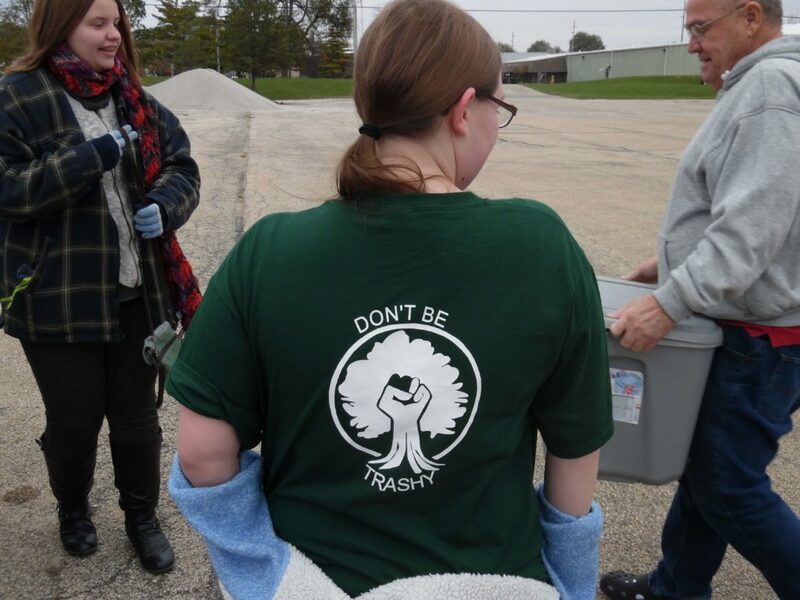 Because of the success of this event we are hoping to recycle glass again in the late fall, maybe November. Everyone said they would be saving their bottles and jars until then. Please do the same and make our next event even bigger.